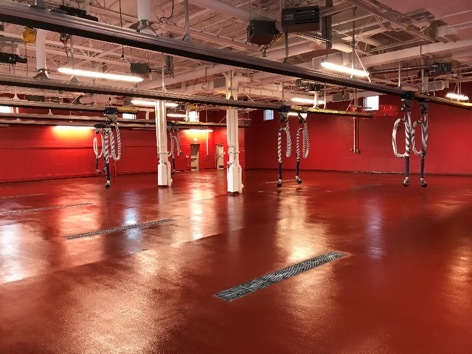 Northeast Flooring Solutions sells and installs commercial vinyl composite tile (VCT), electrostatic discharge tile (ESD) and luxury vinyl tile (LVT) flooring. 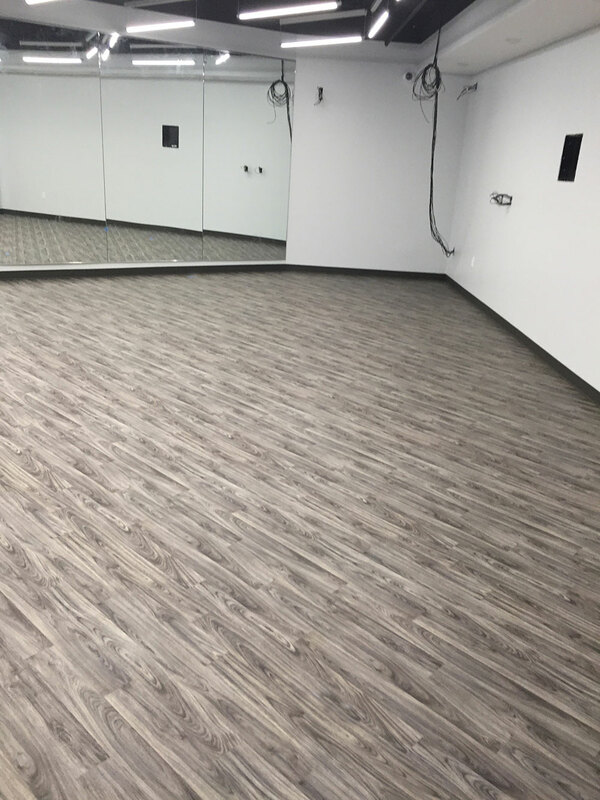 Resilient vinyl flooring, especially luxury vinyl tile (LVT) is growing in popularity as a commercial and institutional flooring preference for high traffic areas. Both are attractive, durable, impact resistant and easy to maintain. Vinyl composition (or composite) tile, also known as VCT, is a classic flooring option in a budget friendly package. Able to withstand heavy foot and rolling load traffic, VCT tiles and planks long lasting, impact resistant and easy to maintain, with a history of great performance. 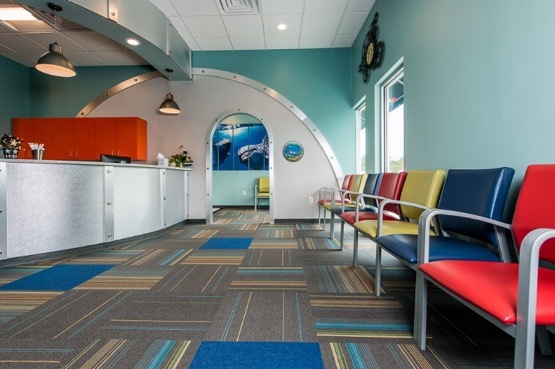 For these reasons and more VCT is a long-standing favorite for educational facilities (schools), retail floors or supermarkets. Densely patterned earth tones and color options support any design style. Northeast Flooring Solutions sells and installs Armstrong VCT amongst other brands. 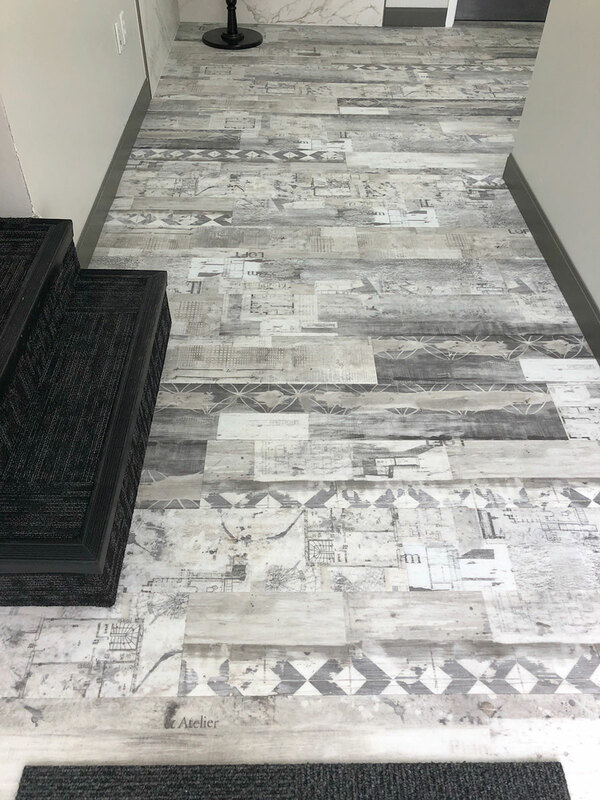 Luxury Vinyl Tile, or LVT, gives you the variety of color and pattern options that you would find in other natural hard flooring with a lower cost to install or maintain. LVT has a durable top or wear layer, which allows it to be a good option for heavy use commercial environments. LVT is made to withstand commercial wear and tear as well as elevate the visual character of a commercial space. LVT, as the name implies, adds a layer of visual and tactile richness that imitates natural wood, stone and ceramic tile flooring surfaces. They are available as traditional square tiles or plank sizes and come in a range of finishes including wood, stone, tile, flake, abstract, linear or multicolor finishes. Differing textures and a multitude of colors hues provide the right combination that complements any style space you’re in. Northeast Flooring Solutions sells and installs many of the industries top brands, including PatCraft LVT, Mannington LVT, and Gerflor LVT. Electrostatic Discharge or ESD floors are used in areas where it is critical to dissipate any static electricity that is created with normal walking on floors. This is important in areas that have sensitive electronic equipment, including but not limited to, labs, electronics manufacturing and server rooms. Available in vinyl or rubber, we sell and install Staticworx, Flexco and Armstrong brands, which come in a variety of natural and richer gem tones. 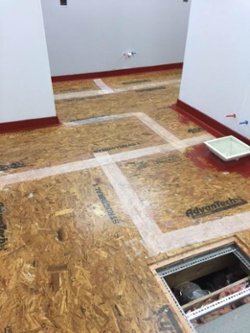 Our resilient flooring experts can easily guide you through the process so you get just the appearance you’re looking for. 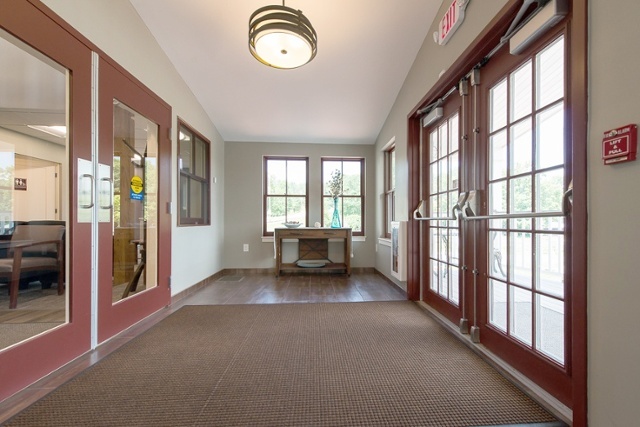 We will also coordinate your VCT or LVT installation within your construction or remodeling schedule to keep your project on track. Our Flooring Accessories page has many cove options to finish the look of your new vinyl floors.